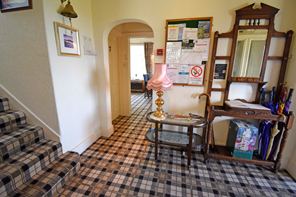 Viewbank has the atmosphere and feel of a small hotel where guests can 'make themselves at home' and are able to come and go as they please. 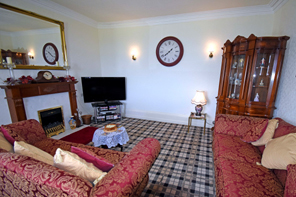 Guests can relax in the large TV/Piano lounge where they will find a plethora of books, board games, videos and DVDs to enjoy (see photos – right). 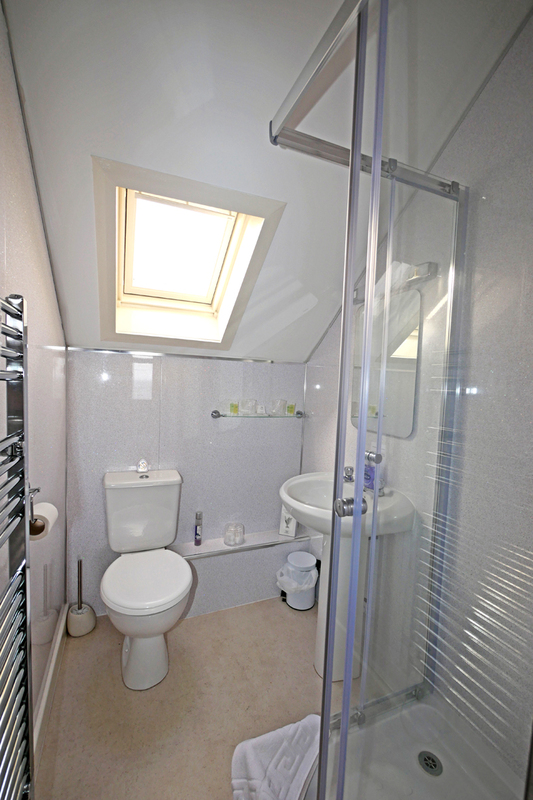 All 6 bedrooms: 4 of which are en-suite, and 1 on the ground floor for anyone with mobility difficulties, offer a varied combination of the accommodation ranging from Singles, Twins, Doubles, with some interchangeable (see photos down below). 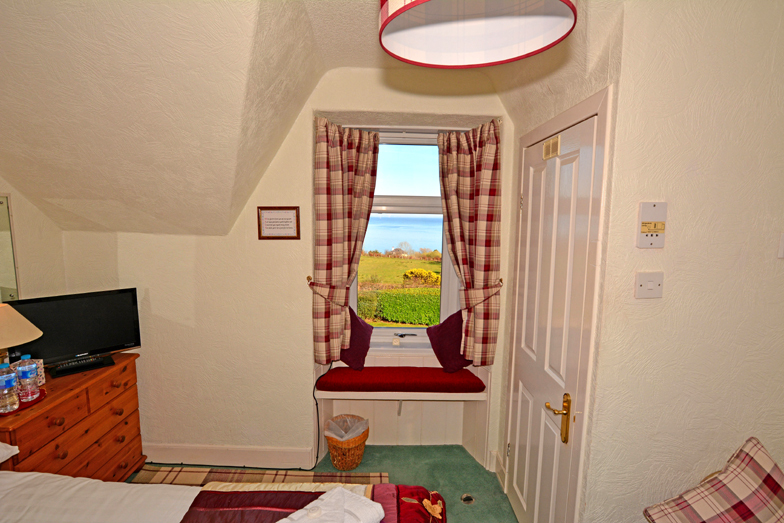 Three of the rooms are sea facing and enjoy superb panoramic sea views across the Firth of Clyde to the Ayrshire coastline. 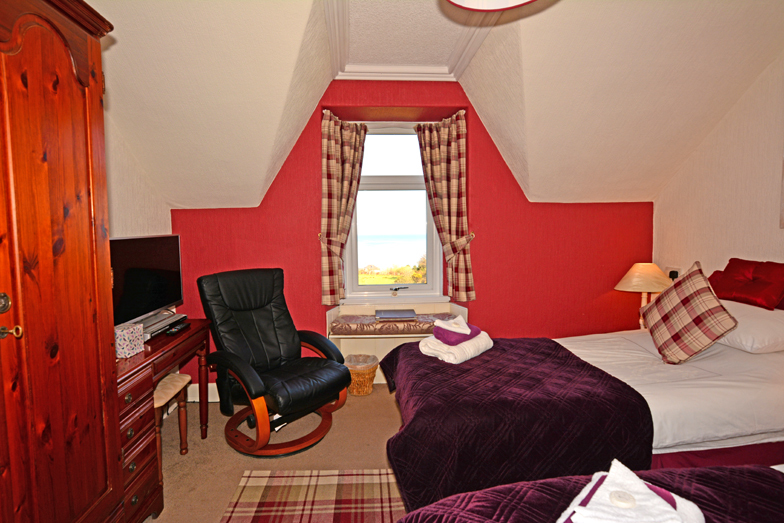 We also have a Family Suite comprising of a 2 linked rooms; a double and a twin; ideal for a family of 4. 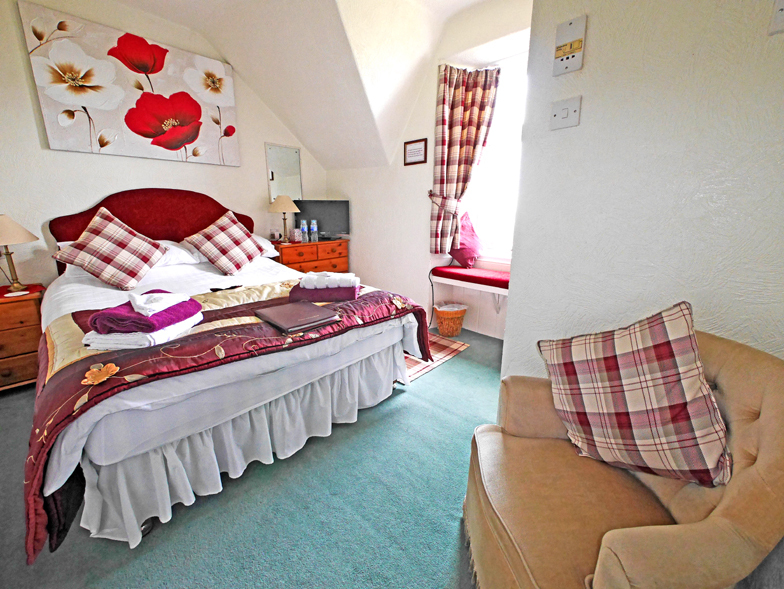 Two bedrooms (1 single and 1 double - 3 people) share the facilities on the first floor landing, comprising of the main bathroom with bath, shower over, w.c. and washbasin, and there is an additional separate w.c. 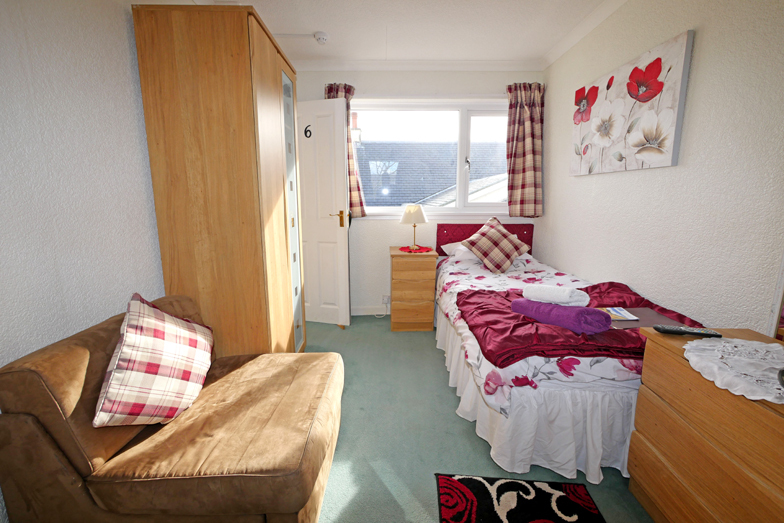 Both bedrooms have bathrobes. 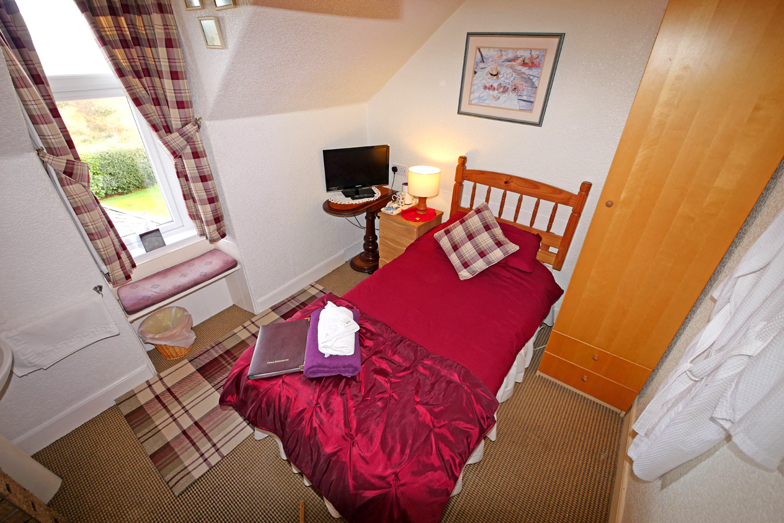 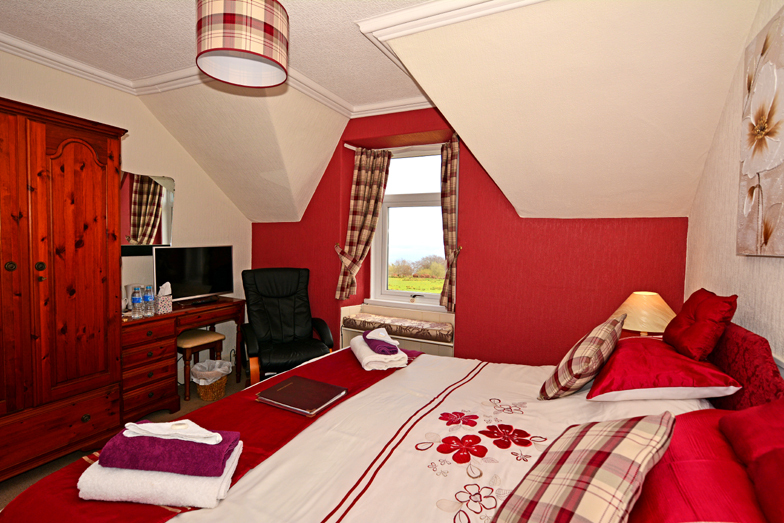 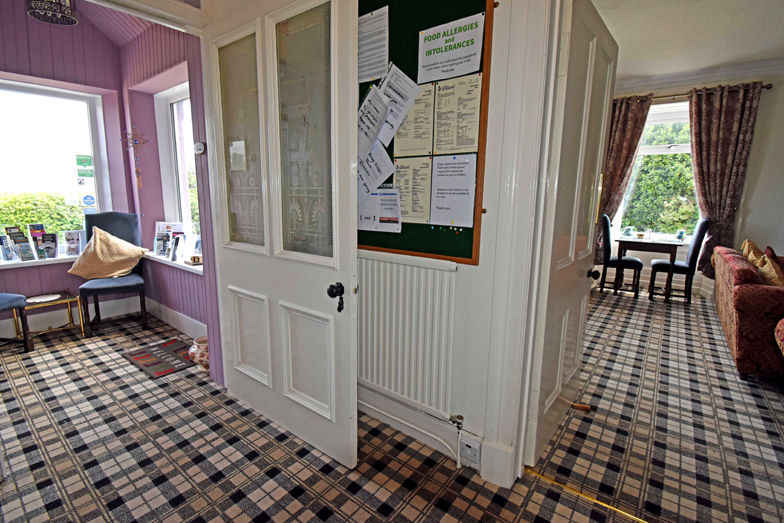 All rooms have TV, hairdryers, complimentary tea & coffee tray and toiletries. 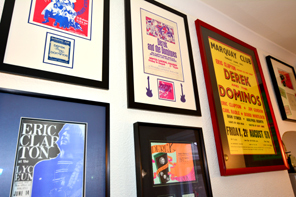 Our Breakfast Room has a twin themed wall display of Rock Music memorabilia and Golf artifacts. 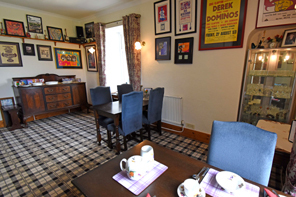 Our breakfasts have become 'legendary' offering a hearty selection of cereals, fruit and local Arran produce, as and when available, with the Full Scottish Breakfast cooked fresh to order... eggs (cooked to your preference), bacon, sausage, grilled tomatoes, potato scones, fresh mushrooms, haggis/black pudding... and toast to round off, and set you up for the day ahead.